Haleem is a very delightful dish. 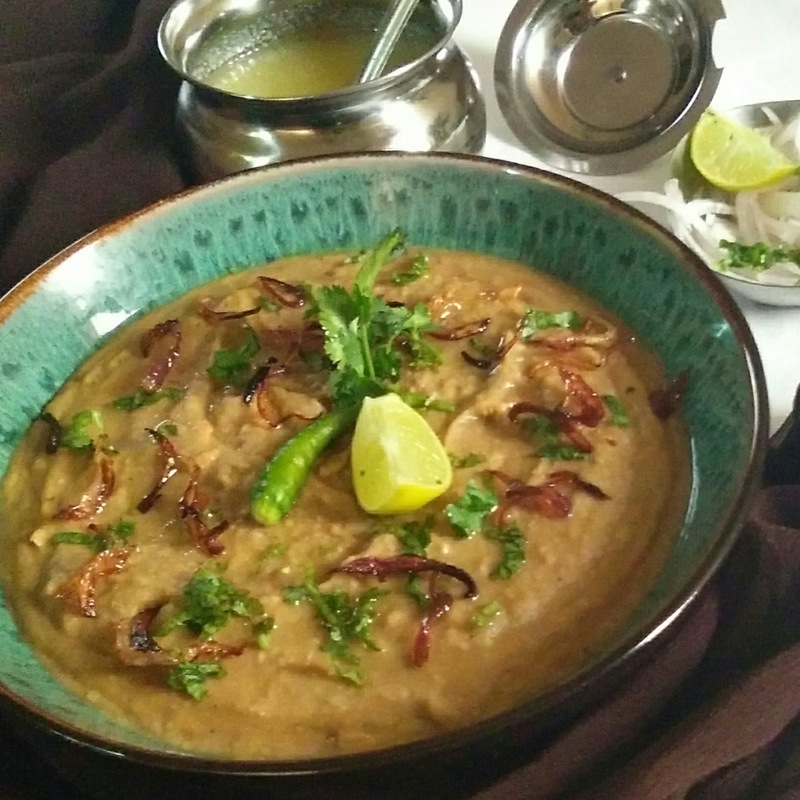 Usually haleem is prepared with lentil, broken wheat and meat or chicken. During Ramadan mostly cooked in Muslim's house. Some people add dry fruits also. Haleem flavored with lots of whole garam masala and ghee cooked over a very low heat for long time. Haleem is a complete meal in itself. Here I presented to you a veg version of Haleem, Cooked with Jack fruit. 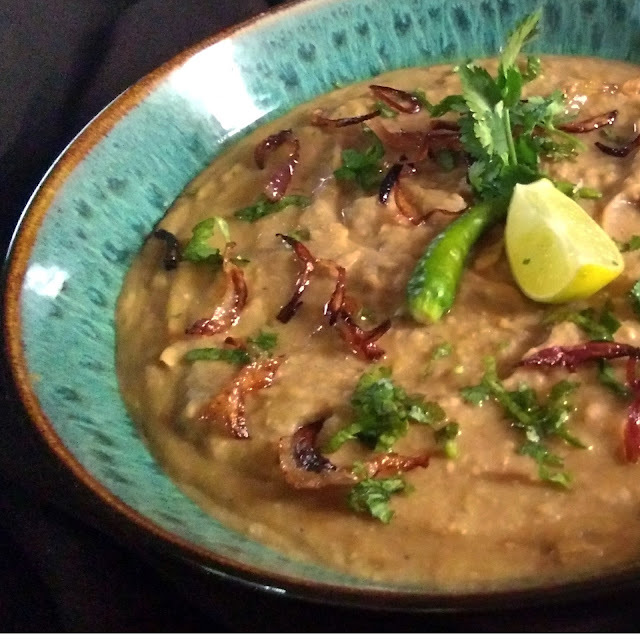 It turned out to be delicious, smooth and creamy haleem. Wash and soak dal and daliya separately for 2 hours. Peel, wash and cut the kathal into small pieces, marinade with curd, salt and lemon juice keep aside for 1/2 hour. Heat 1 cup ghee and fry the kathal light golden. Now heat more ghee in the same pan and fry the onion till golden and crisp. Keep out them on absorbent paper. Boil 4 glass water with all the whole spices and salt. Heat 1tbsp ghee add roast the dal and daliya together for couple of minutes. Switch off the gas and coarsely grind them. Now put dal mixture and kathal in a pan. and water lower the heat and cook until the mixture gets mashy. Add lemon juice, chopped coriander, mint leaves and ghee mix it well and cook. When all the mixture gets thickened switch off the gas. Garnish with coriander leaves, lemon slice, green chili and ghee. You can also add some fried dry fruits.